Manuscript Contest 2000: Runner-up; New Zealand Poetry Society Intl. runner-up; Kaji Aso Studio contest. 2000); In the Margins of the Sea (Snapshot Press, 2000); Inside Out (Red Moon Press, 2010). 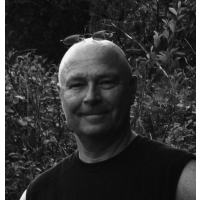 Credits: "foghorns" - Second Place, Haiku Society of America's Harold G. Henderson Awards for Haiku (1999); In the margins of the Sea (Snapshot Press, 2000); The Unswept Path (White Pine Press, 2005); "just a minnow" - A Path in the Garden (Katsura Press, 2000); The Unswept Path (White Pine Press, 2005); "dark, dark night" - The Unswept Path (White Pine Press, 2005); Inside Out (Red Moon Press, 2010; "bird shadow" - Frogpond XVII:3 (1994); Haiku Society of America's Frogpond Museum of Haiku Literature Award, Frogpond XVII:4 (1994); A Path in the Garden (Katsura Press, 2000); The Unswept Path (White Pine Press, 2005); "almost dawn" - First Place, Haiku Poets of Northern California San Francisco International Haiku Contest; The Unswept Path (White Pine Press, 2005); "cherry petals" - Runner-up, Vancouver Cherry Blossom Festival (2007); Inside Out (Red Moon Press, 2010).